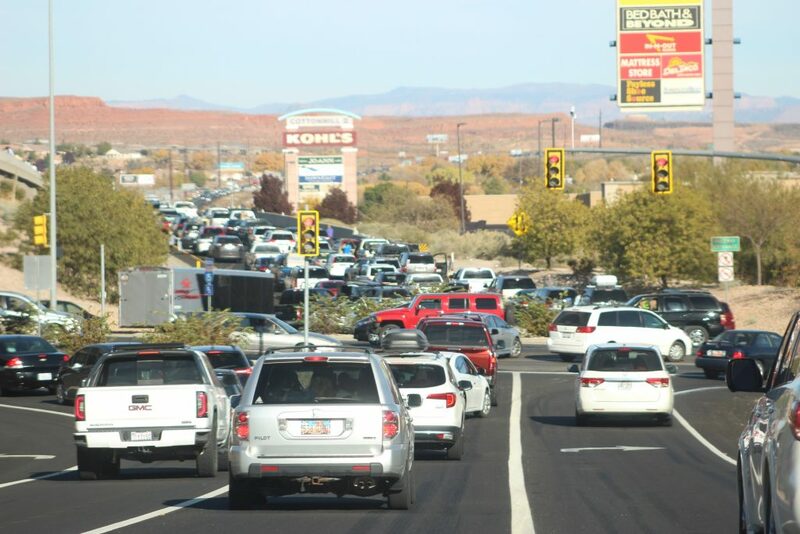 Updated Dec. 3 11 a.m. – The rider involved in the collision with the SUV last weekend, 59-year-old Mark Bourget of St. George died Thursday evening after he was taken off of life support, UHP Trooper Roden confirmed. 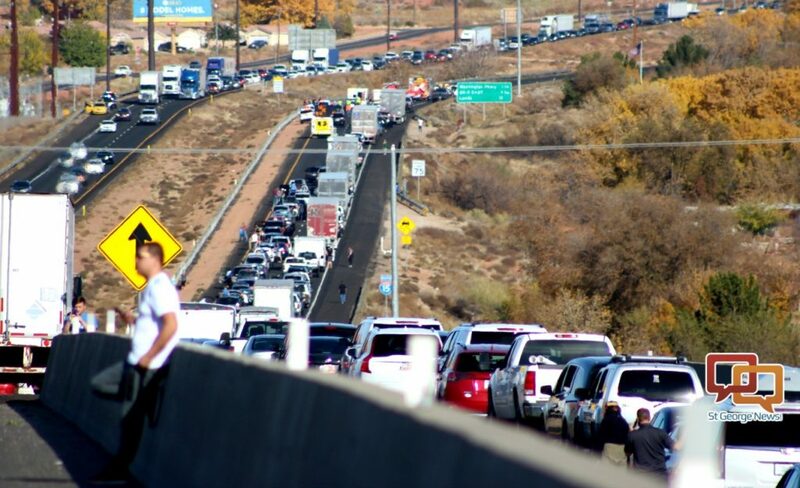 WASHINGTON CITY — A motorcycle rider was transported to the hospital with critical injuries after he was thrown from his bike during congested holiday traffic on Interstate 15 Sunday afternoon. 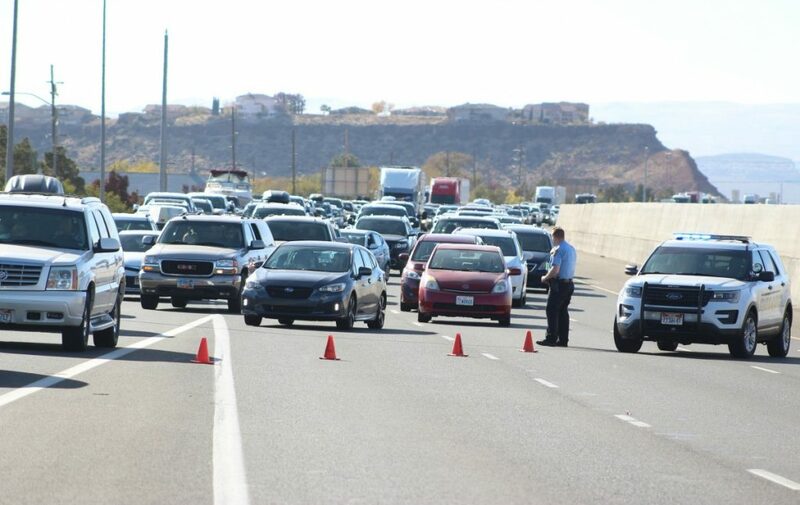 At 1:30 p.m. multiple emergency vehicles and personnel were dispatched to a crash on I-15 northbound near milepost 12 involving a Harley Davidson motorcycle and a black Nissan SUV, with a possibly unconscious rider. 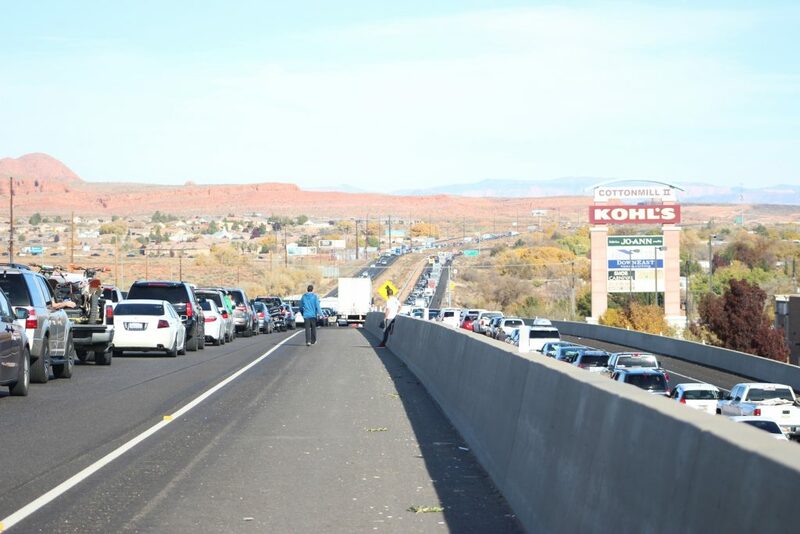 Upon arrival officers found the rider seriously injured, having suffering “severe head trauma,” Utah Highway Patrol Lawrence Hopper said in a statement released Sunday evening. Intermountain Healthcare’s Life Flight helicopter was called in to assist. 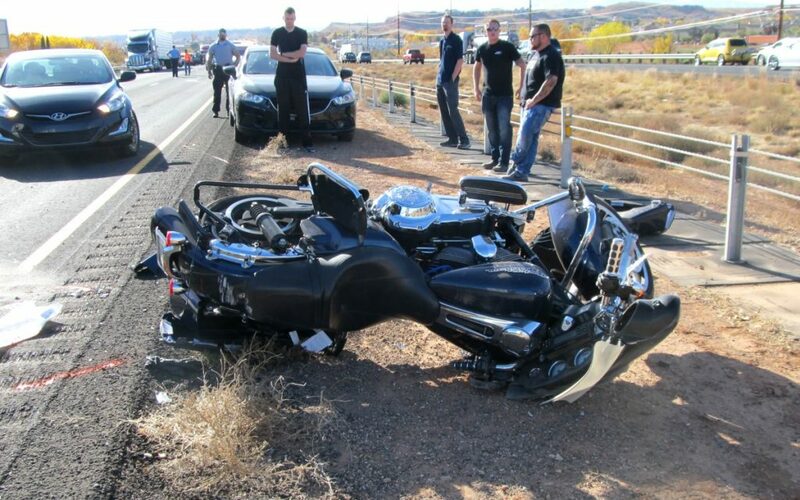 “The rider was unconscious and unresponsive when we got there, but he was breathing on his own,” Utah Highway Patrol Sgt. Larry Mower said. All northbound traffic was diverted off the interstate at Exit 10 to prepare for the Life Flight landing, with traffic backed up from the crash site for more than a mile. The helicopter landed on the northbound side of the interstate, and shortly after the rider was flown to Dixie Regional Medical Center in “extremely critical condition,” Hopper said in the release. 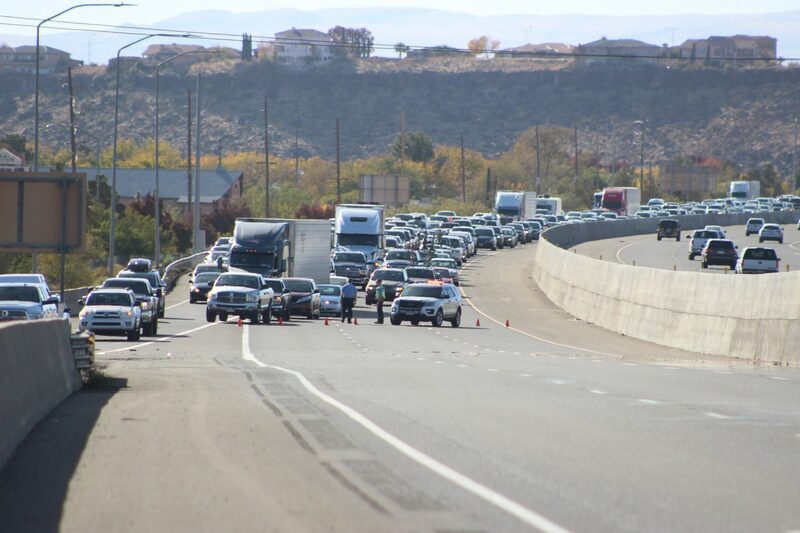 After speaking with witnesses, officers learned that northbound traffic on the interstate was extremely congested, moving in a stop-and-go manner, Hopper said, adding that the SUV was either slowed or stopped behind other vehicles when it was struck in the rear bumper area by the motorcycle. The rider was thrown from the bike during impact, Hopper said. Mower also added that previous to the collision, traffic had been stopped and had just started moving again, reaching speeds of up to 50 mph but then slowed and nearly stopped very rapidly just before the motorcycle hit the SUV. The man wasn’t wearing a helmet at the time of the crash. 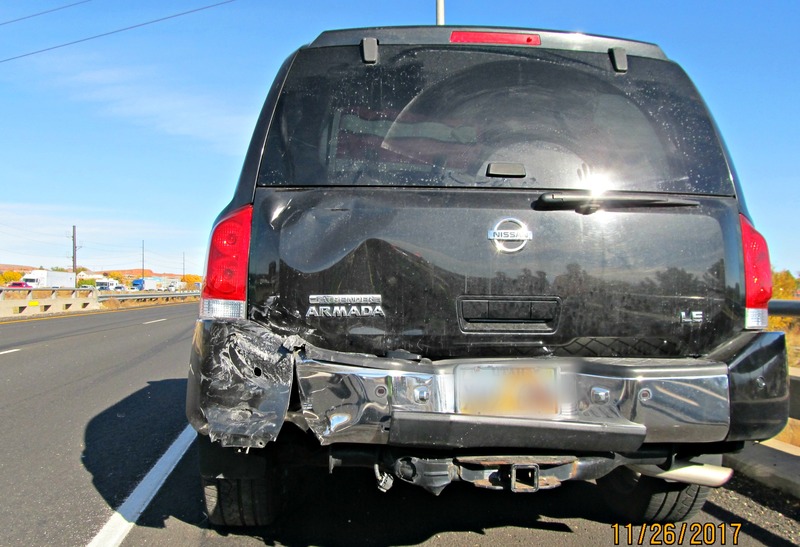 No injuries were reported by the occupants in the SUV. Two crashes were also reported on the southbound side of the interstate while responders were still tending to the northbound incident, adding to traffic delays and backups that reportedly went for more than 6 miles on the northbound side of the interstate, while southbound traffic cleared. 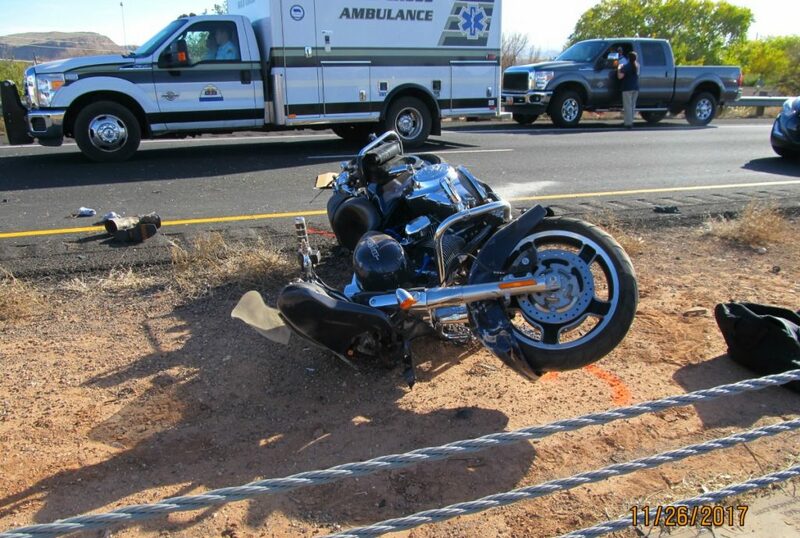 The motorcycle rider remains in the hospital at the writing of this report. The joys of holiday travel. Hope the rider recovers. Unfortunately, “He won’t”. He will probably survive, but he will never recover 100% of his “pre-wreck” abilities. Think a helmut might have been a good idea. Nobody has ever explained the twisted logic in the law that requires seatbelts in cars but not helmuts on motorcycles. If you have a “reasonable” explanation I’d love to hear it. I think it’s ok to not ride without a helmet, but don’t expect society to pick up your hospital and rehab costs plus paying for your care the rest of your life. The best explanation for riding a motorcycle without the benefit of a helmet is: “I would rather die in a crash, than become severely handicapped, and be a burden to my loved-ones”…….There is a certain logic to this…. As if riding a motorcycle (street bike) weren’t dangerous enough; you chose to ride in Washington Co., and w/o a helmet. There’s a word for that kind of behavior: “Suicidal”. When people are considering buying a motorcycle they are only thinking what fun it all will be. The flip side of that is that there are few things more painful than wrecking a bike on the street; and the odds are stacked against riders who don’t realize their decisions when out riding have to be the correct ones, 100% of the time regardless of the situation, regardless of who is right or wrong, and who is lucky or not. It only takes one bad decision and you’re an organ donor. We were right behind him when all the Utah idiot drivers – all going too fast,tailgating and holding up phones!! We were pulling a rig and when all those idiots hit their breaks it was all we could do to get it stopped-Thank God we always leave EXTRA space when we have to travel in Utah. He looked pretty bad, we were in the first 5 vehicles by. We are so glad to know he survived. What can we do to help?? HD’rs from waay back so we love our 2wheelers.